HERNANDO, Miss. -- Mississippians looking for locally grown Christmas trees have several varieties to choose from but should be prepared to shop early for the best selection. Kushla emphasized the importance of taking care of the live tree once it has been placed in the home. “It is important to place the tree in water immediately. Keep trees away from heat sources such as fireplaces or direct sunlight,” he said. Kushla said the highest Christmas tree sales occur on the Friday and Saturday after Thanksgiving and the first Saturday and Sunday in December. Robert Foster, owner and president of Cedar Hill Farm in DeSoto County, said the average cost is $72 per tree, or $9 to $12 per foot. Tree prices are steadily rising due to high demand, he added. Foster’s parents opened the Christmas tree farm to the public in 1996. Foster and his wife, Heather, took over the family business in 2005, along with his brother, David. Foster said that a trip to their farm is more than just picking out a Christmas tree. It is a family event that makes memories to last a lifetime. 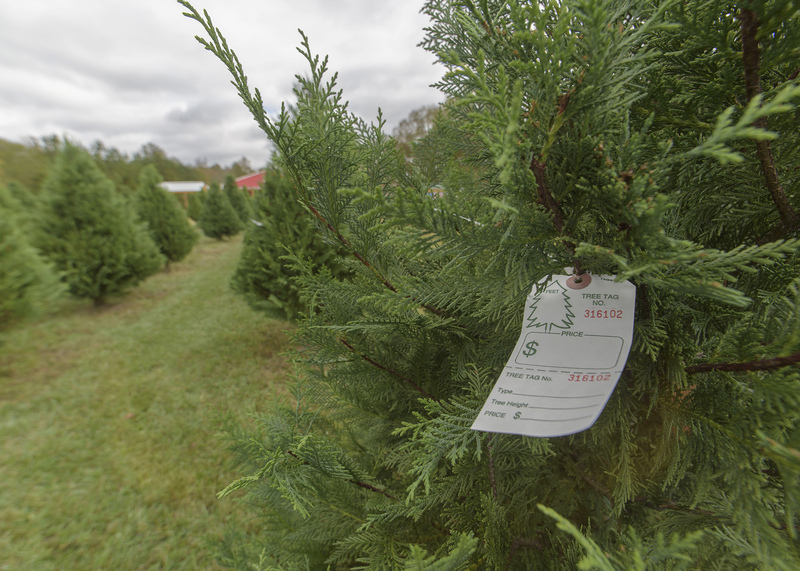 Cedar Hill Farm offers approximately 500 choose-and-cut trees and 650 precut trees. They have many cypress varieties, such as Leland, Murray, Blue Ice and Carolina Sapphire. Christmas trees take about four to five years to grow, so it is important to manage them carefully and keep plenty in stock. The farm also has precut trees shipped in from the North, typically Frasier and Douglas firs. For a list of Christmas tree farms in Mississippi, contact the local Extension office or visit the Southern Christmas Tree Association website.